Named one of the top 15 cities in the United States, Williamsburg is a living museum and lively college town that has something for everyone, especially tournament organizers. 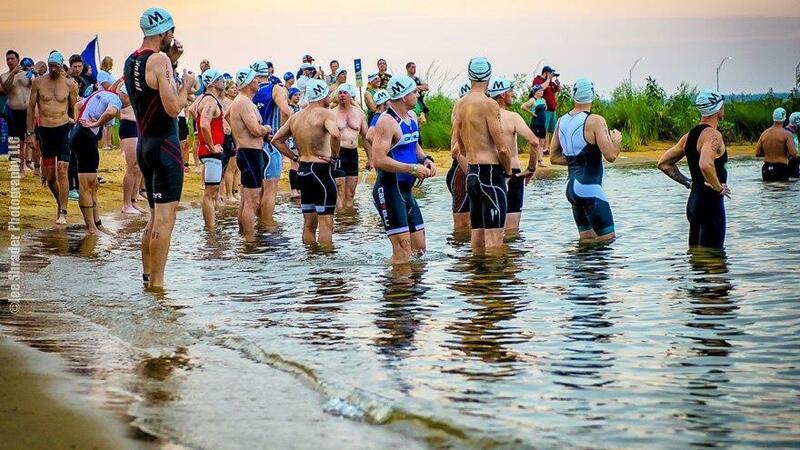 Williamsburg is host to Rev3 Triathlon among other major sporting events. The following article appeared in the Virginia State Sports Guide. Download the full guide below. It’s no surprise attendance increases when teams compete in the Greater Williamsburg area. 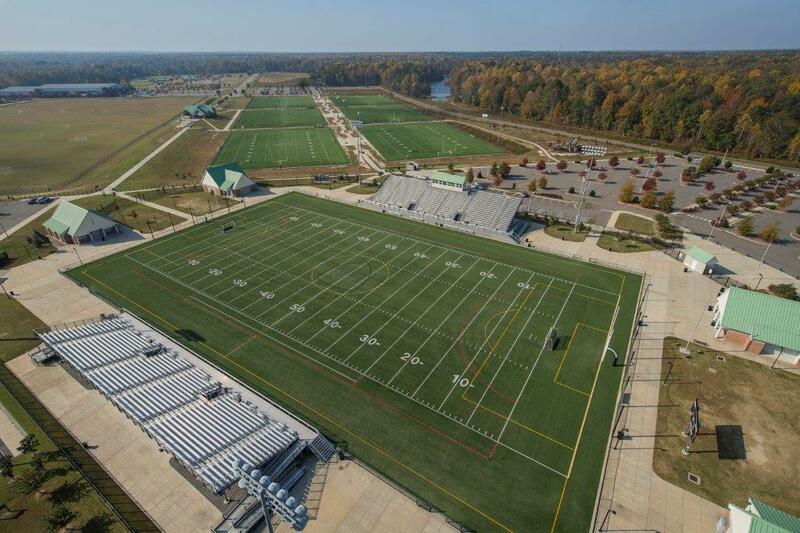 Greater Williamsburg offers limitless facilities to host a wide range of sporting events. From state-of-the-art complexes to parks, water and fields galore, there is something for every sporting need. Greater Williamsburg is also one of North America’s most popular vacation destinations, and its unmatched combination of attractions and activities will delight and entertain athletes and families. Whether your team dons a glove, bat or tennis shoes, Kiwanis Park is the place for you to host your next sports tournament, championship or competition. This 27-acre park in Williamsburg has three softball fields with electronic scoreboards, dugouts and bleachers. 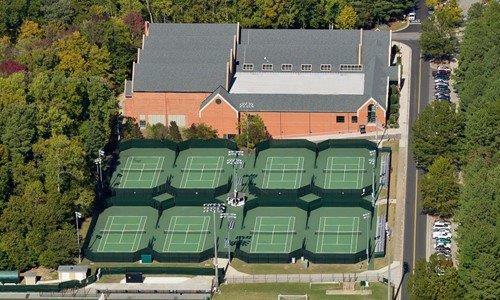 It also features a basketball court, six lighted tennis courts, a playground area with a pavilion, a concession building and restroom facilities. The Warhill Sports Complex in Williamsburg is an excellent facility for indoor and outdoor sports. 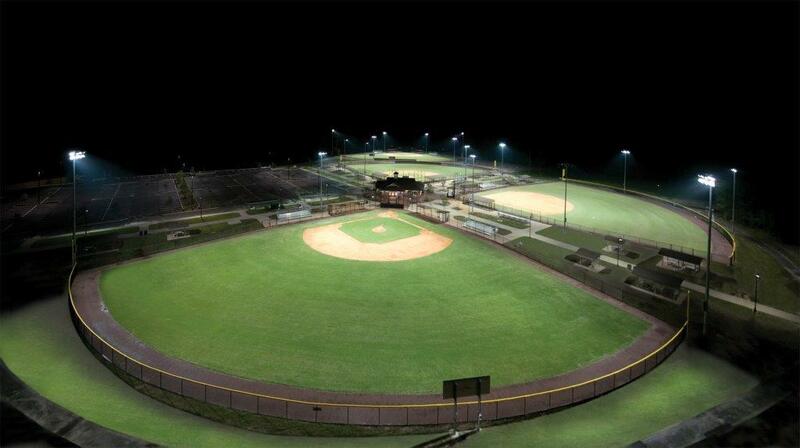 The venue features three lighted youth baseball fields, one lighted majors baseball field, four T-ball fields, outdoor batting cages and a concession building with restrooms and a playground. Warhill also houses a soccer/multi-use complex that contains four intermediate grass soccer fields, four premier full-size soccer fields, six synthetic turf multiuse fields and a concession building. The Complex also features three lighted outdoor basketball courts, two ponds for shoreline fishing, a two-mile paved multiuse trail, a 3.5-mile wooded multi-use trail, a picnic area and 3,000 seat multi-use Wanner Stadium. This stadium’s surface is rubber in-filled synthetic turf with permanent lines for football, soccer and field hockey. A multi-use venue, the McReynolds Athletic Complex in Yorktown is a 70-acre park with 13 lighted athletic fields that are available to rent for games, tournaments and camps. 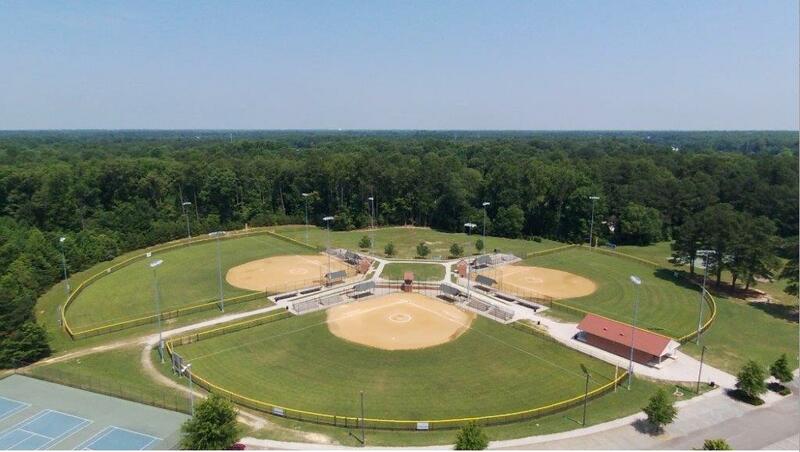 The complex features four regulation soccer fields, two instructional soccer fields, two youth baseball fields with grass infields, three youth baseball/softball fields with skinned infields, one adult softball field and one adult baseball field. It also sports 31 picnic shelters, three full-service concession stands and vending machines, two playgrounds and a 1.8-mile multipurpose asphalt path through the park. Quarterpath can simultaneously hold outdoor or indoor league play, championship tournaments or showcase events. This 23-acre facility in Williamsburg features three lighted softball fields, three tennis courts, two sand volleyball courts, a picnic shelter with tables and grills and a children’s play area. The park also houses the Quarterpath Recreation Center, a 35,000-square-foot indoor facility that offers a wide array of recreational activities and amenities. It has two hardwood basketball courts, four volleyball courts, six pickleball courts and bleacher seating. Among the facility’s amenities are an 18,000-square-foot gymnasium and a 1,900-square-foot multipurpose room as well as two meeting/team rooms. William and Mary fields NCAA Division I teams for men’s and women’s basketball, cross country, golf, gymnastics, soccer, swimming and diving, tennis, and track and field. Each of these teams, along with the school’s non-Division I programs, compete in top-notch facilities. Among them are Walter J. Zable Stadium at Cary Field, which houses the football and track and field programs. The venerable 12,672-seat stadium opened in 1935 and underwent a $28 million renovation that was completed in 2016 and included a new upper deck, suites and a press box. The school’s basketball programs compete in Kaplan Arena, which opened in 1971. The arena’s total capacity is 8,600 for basketball but can be expanded to 11,300 for convocations, concerts or theater. Plumeri Park, home to the school’s baseball team, is one of the finest collegiate baseball facilities in the region. Constructed in 1996, the 1,000-seat lighted facility includes a state-of-the-art scoreboard, grandstand, press box, concession space, team locker rooms and outdoor batting cages. Those looking to experience life in early America can do so in Colonial Williamsburg, where they can travel back in time and immerse themselves in an 18th-century city, explore historic buildings and wander through gardens. Visitors can engage our nation’s founders and gain a new perspective on our American story. This year, Colonial Williamsburg unveils new programming at sites including the Geddy, Wythe and Randolph houses and Anderson’s Blacksmith Shop and Public Armoury. Along with other shops and sites like the historic Raleigh Tavern, guests of all ages can meet the nation’s founders, enjoy period stories, and even try their hands at historic trades and games, with a focus on fun for young revolutionaries. The Jamestown Settlement features extensive gallery exhibits and films that explore Jamestown’s beginnings as a business venture, the impact of European colonization on the Powhatan Indian culture, and the origins of the first known Africans in Virginia. Outdoors, explore recreations of a Powhatan Indian village and a 1610-1614 fort, and board a replica of one of the three ships that sailed from England to Virginia in 1607. Busch Gardens offers fun for the whole family. Whether it’s feeling a rush aboard thrill coasters, fulfilling an appetite for world-class dining and shopping, or making memories that will last a lifetime at one of its KIDsiderate attractions, there’s something to experience for everyone. Great organization to work with. Very involved in the whole planning process and execution. Made our National Softball Association World Series a success. By car: Williamsburg is located adjacent to Interstate 64 and U.S. Route 60, which connects the city with Richmond to the northwest and Norfolk to the southeast. By air: The primary airport for the Virginia peninsula is the Newport News/Williamsburg International Airport in Newport News, a 20-minute drive from Williamsburg. Norfolk International Airport and Richmond International Airport also serve passengers from the city.